As I sat in the kitchen, I couldn’t help but notice that the feeder didn’t seem to be losing any of the nectar, curious since I had filled it three days before. Then the show started. 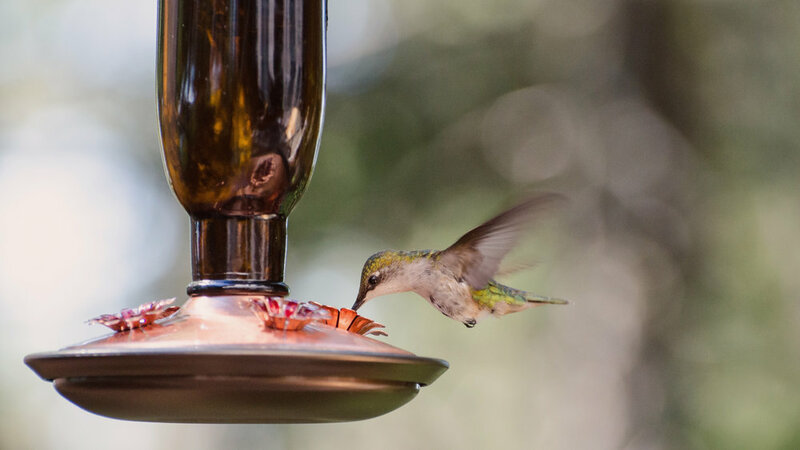 Two sweet little hummingbirds had the battle of the century over the feeder; one would land and stick his beak into it, and the other would dive-bomb him. The two hummingbirds were in combat, yet there were four openings on the feeder — plenty of opportunity and space to eat — but they were more frightened of the competition. They were fighting over who was going to control the situation. They were fighting for power and during the battle, neither one is getting any food. Truthfully, they perhaps got a sip or two before the fight would begin again. While you’re fighting for power, you’re missing an opportunity to get fed. You miss getting fed by those around you and influenced by those who just might have a better idea. While you are fighting for power, you are missing an opportunity to be building positive relationships. Believe it or not, someday your organization will disappear and so will your relationships if you don’t care for them. While you are fighting for power, you’re exhausting yourself watching your back all the time. You trust no one and it will show. There was room enough at the feeder for both the birds. I would venture to say there will be enough room in your organization to share the power, especially if you seek to add value by serving the people around you. Servant leaders understand real power comes from positively influencing the people around them.